FOX NEWS, May, 17, 2017— This week’s presidential election in Iran has activists from outlawed opposition groups risking their lives, they say, in what they have branded as an unfair and undemocratic election. Activists claim that no matter who wins the presidential contest, Iran’s Supreme Leader, Ayatollah Ali Khamenei, will continue to control his country. “Calling this an election is a joke. This is a farce, and not an election,’ Hamid D, a mechanical engineer in Tehran, told Fox News. Hamid, who did not want to use his last name for fear of retaliation, said he has been busy the past few weeks putting up anti-regime posters all across Tehran. 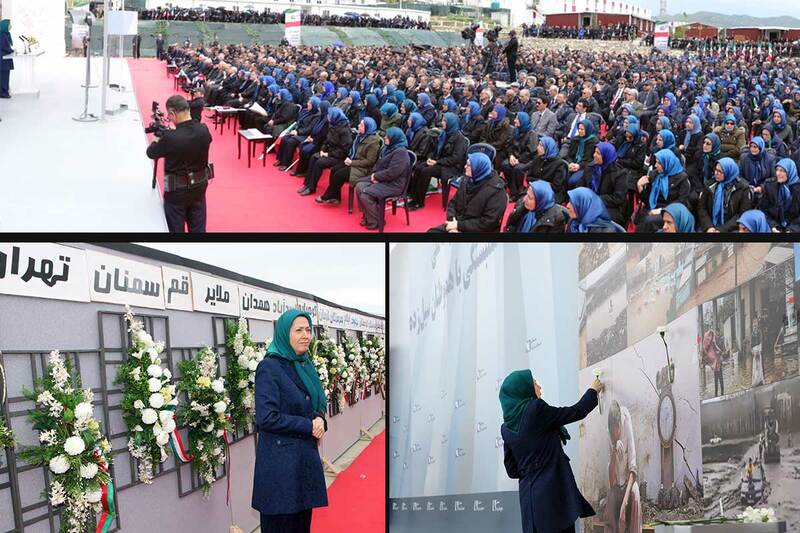 Hamid’s group, the National Council of Resistance of Iran ( NCRI ), has released videos of its members putting up protest posters with the image of the Council’s leader, Maryam Rajavi , over bridges, highway overpasses and on walls. “Americans and Europeans should not compare this to their own elections. There is no democracy in Iran. It is a theocracy,’ he said. Hamid D, who told Fox News he is organizing a campaign to support Rajavi, has put up several of her posters as a gesture of defiance toward the regime. The Iranian government has outlawed the NCRI, calling it a terrorist group, but its leaders are not deterred by what they say is the regime’s propaganda. ‘Just now, there are a lot of slogans in Tehran that say: ‘No to imposter, no to mass murderer, our vote: Regime overthrow,’” he said. The posters refer to the two leading candidates, sitting President Hassan Rouhani , who is seeking a second term, and Ebrahim Raisi, a hardline cleric, Rouhani’s biggest rival. Iranian President Hassan Rouhani speaks in a campaign rally for May 19 presidential election in Tehran, Iran, Tuesday, May 9, 2017. He faces cleric Ebrahim Raisi. When Fox News asked Hamid D about the risks he and his colleagues are taking, he said they are worth the effort so they can achieve their goal of trying to bring freedom to his nation, and ensure a fair election. ‘We can be arrested, tortured and executed. This is no secret to us. But we know what we are doing. The Iranian people have already paid a heavy price for demanding freedom,’ he said. The NCRI says that many of its followers have been arrested, tortured and executed by the regime. In a statement to Fox News, Rajavi called the Iranian elections “illegitimate” and unfair. 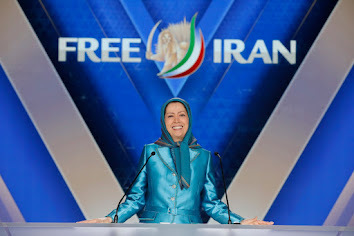 “This sham is an attempt to put a 21st century veneer on a medieval regime, all of whose factions pursue the same policies vis-à-vis suppression at home, export of terror abroad, the nuclear weapons program, and pilfering of the Iranian nation’s wealth,” she said. Many activists have taken to the street using graffiti and defacing government election posters as a form of protest. “This is not an election; this is a show in the theatre, not a single woman is among them (the candidates), not a single person from a religious minority…all of them are loyalists from the Islamic Republic,” a liberal activist named Farhad who asked that his real name not be used for fear of retaliation from the regime, told Fox News. Farhad said he wants to see the same kind of democracy practiced in America carried out in Iran – the freedom to elect whomever the people choose. While both Farhad and Hamid don’t know each other or share the same political ideology, they do agree that President Donald Trump has an opportunity to play a pivotal role in taking on the regime. Hamad D, a supporter of Rajavi’s NCRI, told Fox News from Tehran that he has a simple message for President Trump.